Whether you are a survivalist, or just looking to ensure you have all the things you might need in case there is an emergency, then a good place to start is by getting yourself a bug out gear, or a bug out backpack. In this article we will be explaining what is a bug out bag and why you need one, so you’ll always feel prepared no matter what life throws at you. The best bug out bag, or BOB, otherwise known as a 72 hour bag, contains everything you’ll need to survive for at least three days (or 72 hours) after an emergency. Its purpose is short term, more for evacuation from a dangerous area rather than for long term survival, so your bug out bag checklist will slightly differ from survival or emergency kits. Who Uses Bug Out Bags? When is a Bug Out Bag Used? They are designed to help you survive without any other supplies for three days, so are useful in any emergency that can make survival a priority. A fire in your home, for example, or earthquakes, or any other natural disaster can leave you without what you need, and having a bail out bag can make the difference when you need to be able to survive for long enough for assistance to arrive. How Does a Bug Out Bag Help? 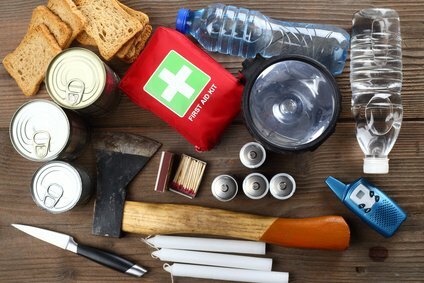 Of course it depends on what you have in your bail out bag, but if it has been packed properly you will have everything you need to keep hydrated, cook basic rations, perform first aid, build shelter, defend yourself, and find your way to safety. By preparing it when you’re not in an emergency, you have the time to think about exactly what will be helpful, so you’ll be far more prepared than if you’re trying to pack a bag in a rush. ​You can either buy a pre-packed bug out bag, with numerous companies offering their own versions, or make one yourself. The benefits of buying a specially designed one is that it will have been created by survival experts who know exactly what items come in useful in such situations. There are lots of different types available and in different sizes, which means you can get a family bug out bag for larger households, or an individual one if you live on your own. Buying one from a company also means you won’t have to buy each item individually, but will need a few additions once you receive it such as ID, medicines and any other personal things that you think will be necessary. This, though, is where the benefit of packing your own bag comes in, because you can personalise what you have in your bag, and also have a better understanding of what’s in there and how to use it all. If you want to make your own, you should search online for a list of essentials that will give you a starting point, and then decide what else you want to include as well. Life is unpredictable and, quite understandably, people want to ensure that they are prepared for all eventualities. Bug Out Bags are a great way to do this, as they contain everything you need to evacuate from the immediate danger and survive for at least 3 days while you get yourself to help and safety. A lot of people wonder what is a bug out bag and why you need one, and they are often associated with survivalists. This doesn’t mean it’s not a good idea for everyone to have one, though, as you never quite know when you might need one.